Thomas Müller had a hand in three of Bayern's six goals against Bremen on Friday night. 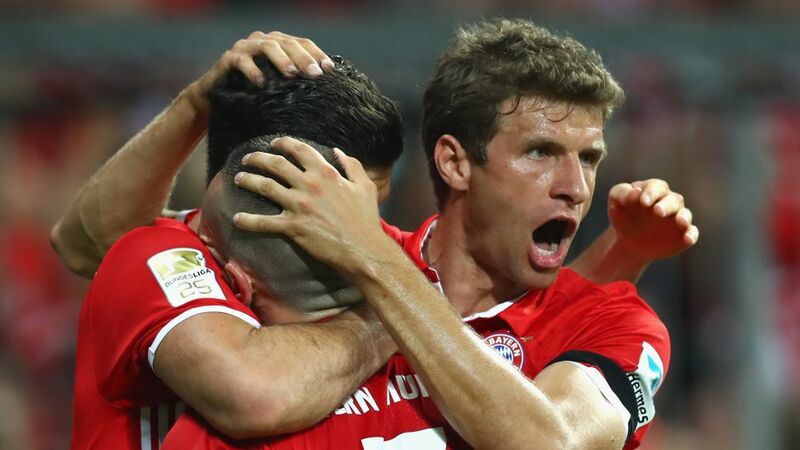 He may not have got on the scoresheet, but Thomas Müller pulled all the strings as he orchestrated FC Bayern München to a 6-0 opening day victory over SV Werder Bremen. Is Müller in your Official Fantasy Bundesliga side? If not, sign him up now! Three Bayern players had just one man to thank that they got on the scoresheet in Bayern's Matchday 1 rout. The champions' very own 'space invader' set up Robert Lewandowski, Philipp Lahm and Franck Ribery. But did he do enough to earn your vote as Matchday 1 MVP? Vote for Müller for #BLMVP on our twitter channel now! ...Aubameyang has found the net on three of his four opening day appearances in the Bundesliga...and has taken his Matchday 1 tally to an impressive six in total....the reigning African Footballer of the Year only needed four shots on goal to complete his brace....his performance would have earned 17 Official Fantasy Bundesliga points!